First and foremost, please join me in saying a prayer for Aminul Rashid Amzah, the 15 year old teenager who died after being involved in a hit and run traffic accident in the wee hours of the night on Monday, the 26th of April, 2010 recently in Shah Alam, Selangor. Okay, by now, most of us have come to learn about the tragic manner by which Aminul Rashid met his death not that far from his home by following the various newspaper reports. The alternative media, especially those who love to publish news and views badmouthing the Royal Malaysian Police have had a field day in lambasting the nation's major law enforcement agency and labeled them as trigger happy murderous cops with nothing better to do? It's sickening to see the way things almost always get blown to humongous proportions especially when it involves the men in blue. Never mind that they are often exposed to various dangers out there putting their own lives in danger and not being appreciated by a growing number of ingrates amongst the country's faultfinding citizens or as I would categorize them as the 'bad news browns' or whatever they choose to identify themselves as? The teenager died after the encounter with the anti crime police who would surely have had no clue as to who was behind the wheel of the speeding car which had just grazed another car, knocked into a chasing motorcyclist and ignoring the flashing siren of the policemen in chase? The time was 2.00 am. Would the police fire upon the speeding car if they had known it to be driven by a teenager out for an illegal drive with his friend? Surely, they wouldn't have resorted to such lethal actions! If you or me were in the place of those policemen and saw all that had transpired and saw the car involved in the grazing and then knocking down of the motorcyclist, speeding off despite the patrol car switching on its sirens and chasing it, still see that the suspect's car isn't slowing down, what would be our assumptions? Visualize the scenario! A car speeding away after the initial grazing of a luxury vehicle or any other vehicle for the matter and then still being driven away after knocking down a chasing motorcyclist, what would you think if you were the chasing police patrolmen conclude as to the intent of the speeding car's driver? Surely all the training the patrolmen have received would make them conclude that the speeding driver is a criminal suspect and they have to do their duty in catching the speeding suspect? I am not saying that the ones who shot out the tyres of the car inadvertently killing the driver of the car in the process are totally blame free but if we are to be just in our assessment of this tragedy, to please try and look at it from both sides to be fair. It's tragic and unfortunate for Aminul Rashid Amzah to die like this but it has happened and I am sure that the patrolmen involved in this case are just as affected very terribly and sorry as we all are. The patrolmen were just doing their duty as they are trained to do. Give chase after a suspected hit and run speeding vehicle. They do not have super penetrating night vision to be able to figure out the identity of a speeding suspect in the wee hours of the night, do they? At 2.00am in the dark night, how were they expected to be able to know that the driver of the speeding car was an unlicensed teenager who had taken his sister's car without her permission or knowledge just to go watch football at the local mamak's bistro? Aminul Rashid Amzah is no more. 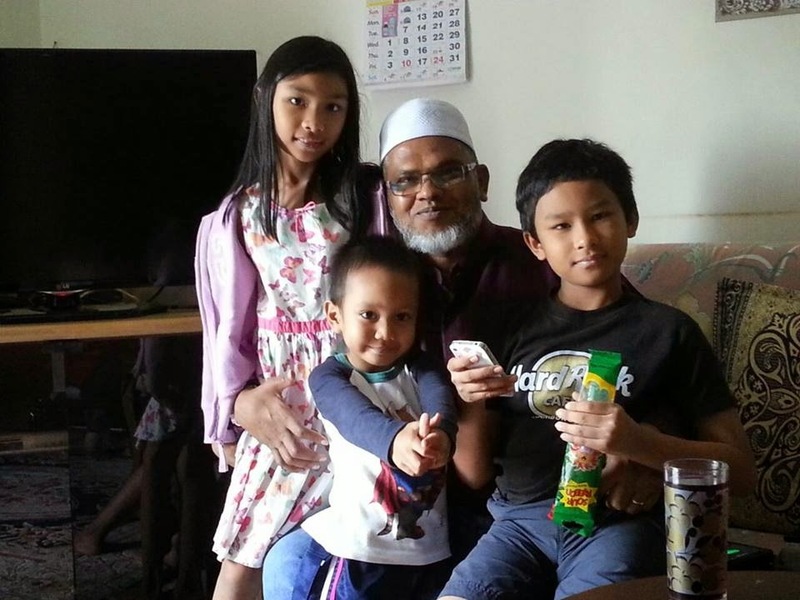 Best that the Malaysian Government can to do is to clear his name and compensate the family. The policemen can't be totally blamed for carrying out what is their duty ~ to arrest or take out any criminals at large in our society. To expect them to just be idle bystanders when that accident had happened is just wishful thinking for if we had such inactive cops out on patrol in our nation, we might just as well order the police to work a 9 to 5 job schedule and get all the faultfinding bad news browns to volunteer taking care of our country from the evening onwards? Don't do this at home ~ Watch and howl! Hahahahahaha! This guy's just scored the top 20 list of the most hilarious mobile phone user videos in my book! Hahahahaha! Prof: You can't answer, can you? Let's start again, young fella. Prof: Evil is everywhere, isn't it? And God did make everything, Correct? Prof: According to empirical, testable, demonstrable protocol, science says your 'GOD' doesn't exist. What do you say to that, son? Cold is only a word we use to describe the absence of heat. We cannot measure cold. Student: What about darkness, Professor? Student: Sir, my point is that your philosophical premise is flawed. Student: Sir, you are working on the premise of duality. Student: Since no one has ever observed the process of evolution at work and cannot even prove that this process is an on-going endeavor, are you not teaching your opinion, sir? Student: Is there anyone here who has ever heard the Professor's brain, felt it, touched or smelt it? Student: That is it sir... The link between man & god is FAITH. I believe you have enjoyed the conversation. ..and if so...you'll probably want your friends/colleagues to enjoy the same...won't you? This is a true story, and the student was none other than.... Avul Pakir Jainulabideen Abdul Kalam, the 11th President of India. Emailed to me by my missus. Sometimes, it takes animals to show humans as to how to be kind and loyal to one's loved ones. Even in defense of a dead squirrel's remains from being pecked and eaten by crows. Electing Senators or Ministers ~ What's the criteria needed? Looks like after the abundance of Dato'ships being conferred like confetti, now this nation is going to be chockful of senators! Yes, you heard me right! They are now going to turn into senators or ministers those who have expired their shelf life in the nation's political theatre. Latest news I hear is that the MIC Deputy President who lost the previous general election at Hulu Selangor is going to be made senator. He might even be appointed as a full minister. For doing what? Stepping aside for P. Kamalanathan to be nominated as the BN Hulu Selangor Parliamentary candidate! That's all it takes. Sheeesh... Lucky that Kamalanathan won! Why is it that failures and has beens are being considered as senator or minister material? You mean to tell me that those who are past retirement ages are choice candidates for the Dewan Negara? Looks like our nation is either so bloody desperate to turn this fellow and that fellow into senators or ministers and achieve what? We really ought to reconsider raising up the bar as to who gets to be senators or ministers and stuff if we do not want to see this country really and truly end up as a banana republic or in this case...kingdom! When the Dewan Negara or the Dewan Rakyat is full of hot air spewing old dragons or dinosaurs, this country will definitely be forever a developing nation...at a snail's pace for sure! Singapore has long outclassed us by leaps and bounds as far as the quality of their ministers are concerned. Our's is more like the local pasar malam stuff. Where medicine men and snake oil peddlers thrive. All they care about is selling their wares ; not giving a hoot as to the welfare of their constituents, etcetera. We ought to be ashamed of all these so called politicians who in actual fact are political parasites or remora's sucking off the blood and nutrients of this nation whilst the people suffer from malnutrion. Why the BN won in P94 Hulu Selangor? My views. First and foremost, it has to be the choice of candidate. P.Kamalanathan has no track record yet of any wrongdoing, politically. He has slowly but surely been building a reputation for speaking his mind and establishing himself as amongst the young blood of the Malaysian Indian Congress. The MIC whose fortunes politically had been gradually spent since 2004 following the recalcitrance of its beleaguered president, Dato Seri S.Samy Vellu who refuses to quit the chair despite his party's poor showing in the recent General Elections in 2008 where even he himself lost his seat in the P62 Sg Siput Parliamentary constituency to the PKR's Dr.Michael Jeyakumar Devaraj. YB P.Kamalanathan's ability to project himself as a viable candidate for the BN as a whole could have been the reason as to why the BN's Chairman, UMNO President Dato Seri Mohd Najib Tun Abdul Razak chose to field him over the other BN politicians there despite calls made to give the slot to UMNO Hulu Selangor leaders? The failure of the MIC Deputy President, Dato G. Palanivel to retain the Hulu Selangor Parliamentary seat in the last GE despite having been voted into power for the last three general elections there could also have been a factor as to why the Prime Minister ignored or overlooked MIC President Dato Seri S. Samy Vellu's recommendations to the PM to field Dato G. Palanivel again as the BN's candidate there? Lucky that PM Dato Seri Najib followed his heart and had not listened to Samy Vellu. If he had done that, the BN would surely have been trounced and beaten to a pulp by the enamored Pakatan Rakyat! The Pakatan Rakyat had been prancing about ever since they won over 5 states from the BN and denied the BN its 2/3rd majority in the Malaysian House of Parliament for the first time since Independence. Samy Vellu's continuance as the MIC President and his iron grip over the party has seen many potential Malaysian Indians who have all the leadership qualities in them to be the next generation of leaders staying away from the beleaguered Malaysian Indian political party for sheer reasons as not to end up as another of Samy Vellu's political kills during his long continuous reign there in the MIC. If and when Samy Vellu and his aging team of kowtowing Malaysian Indian politicians finally relinquish their hold over the party, will the MIC get to see a new lineup of able and capable fresh new blood in one of the founding members of the Barisan Nasional coalition? Failing which, it will be a gargantuan task for new faces like P.Kamalanathan to grow his political roots there in Hulu Selangor and slowly gain the trust of those who chose to vote for him over the PKR's Dato Zaid Ibrahim, a former UMNO Minister and Kota Bharu MP. A classic David versus Goliath story come to life. P.Kamalanathan was relatively unknown in the national political arena until this chance candidacy. I came to know Kamalanathan online when he posted a series of rebuttals to me over the case of the Penang Free School's usage of Jawi in one of the historic school's front entrance facade. You can read of our exchanges here in the comments section. I sensed back then that this fellow was one of those opinionated young chaps in the Putera MIC and that he would be one of the up and coming leaders of the MIC in the future. I guess neither of us would have imagined him to be catapulted into the nation's political limelight this fast? Anyway, he is now here as the freshly elected BN Member of Parliament for Hulu Selangor, in a state that is under the rule of the Selangor Pakatan Rakyat. Quite a momentous task for the young man from the MIC. He would have to rely heavily on allocations from the BN Federal Government to finance his projects there in Hulu Selangor for I don't think Selangor PKR Menteri Besar Tan Sri Khalid Ibrahim would be so gung ho in channeling any such allocations to him from the Selangor State's coffers now, would he? Back to the reasons as to why I say the BN won this P94 Hulu Selangor Parliamentary by election? The BN's candidate is not known to be involved in any major issues or social-political-religious controversies so far. his reported case of alcoholism and other issues. The recent shelving of the Hulu Selangor based Poverty Eradication Foundation @ Yayasan Basmi Kemiskinan's promising development project to build a sprawling UITM Serendah campus by the Selangor PKR Menteri Besar, Tan Sri Khalid Ibrahim because of the YBK Board's refusal to accept Tan Sri Khalid as its Chairman over the long serving and popular Dato Zainal Abidin Sakom could also be a major factor as to why 1725 voters upstaged the number of votes to be in favor of the BN's P.Kamalanathan? Picture Source : Malaysian Insider. 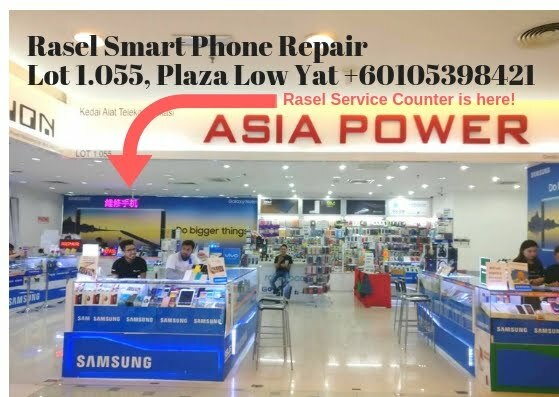 Failure of the former Pakatan Rakyat MP to solve many issues of the disgruntled Hulu Selangor folks since the Opposition Tripartite loose coalition took power over the parliamentary in the 12th GE. Pitting the Malays against one another using religious issues etcetera backfired against the PR. A thousand and one other underlying dissatisfaction's of those who voted for the PR in the last General Elections and a gradual loss of faith in the PKR following the many cases of its MP's and State Assembly representatives leaving the party citing various reasons of power-plays and infighting. At the end of the day, both the BN and the PR have lots of brushing up to do and YB P.Kamalanathan has his tasks waiting at hand for him to practice what he has preached during the quite heated by election campaign. Let's see if he has it in him to deliver as he has promised? Tahniah kepada Yang Berkhidmat P.Kamalanathan! Iya! Salam tahniah kepada calon BN Yang Berkhidmat P.Kamalanathan a/l P.Panchanathan, Ahli Parlimen P94 Hulu Selangor (April 2010 selanjutnya). Saya sarankan supaya honorifik Yang Berhormat yang digunapakai setiap Ahli Dewan Undangan Negeri dan Ahli Parlimen ditukar kepada Yang Berkhidmat untuk menjadi peringatan halus kepada YB YB sekelian bahawa mereka sebenarnya adalah wakil rakyat yang menerima undian dari para pemilih untuk menjalankan tugas berkhidmat kepada masyarakat disetiap kawasan DUN dan Parlimen negeri dan negara ini. Dengan peringatan ini, Insya Allah semua YB YB akan senantiasa disedarkan akan tugas dan tanggungjawab masing masing dan tidak mudah menyombong diri dan alpa semasa bertugas dan memegang amanah mewakili kawasan DUN atau Parlimen berkenaan. Kepada YB P.Kamalanathan, saya berharap supaya YB akan mengotakan kata dan menunaikan janji selepas mengangkat sumpah nanti. Tinjau tinjau kekawasan kawasan yang memerlukan perhatian YB dan buktikan bahawa para pengundi Hulu Selangor telah membuat pilihan yang tepat dengan mengundi saudara. Berkhidmatlah dengan penuh dedikasi seandainya YB ingin terus dicalonkan didalam PRU ke 13 nanti dan bangunkanlah mana mana projek yang telah terbengkalai didalam kawasan Parlimen P94 Hulu Selangor ini. Semasa saya melawat kawasan Bukit Sentosa dan Bukit Beruntung tempohari, saya ternampak beberapa projek terkandas yang mulai dilitupi semak samun. Cuba YB kaji selidik akan kedudukan projek projek gagal ini dan siasat akan apa kah sebabnya projek projek tersebut tergendala? Diwaktu yang sama, bantulah penduduk miskin seperti Ong Chew Tee di Kg Gurney yang hidup susah berbumbung bocor di Ulu Yam Baru. Dengan bantuan dari peruntukan yang akan YB terima, penduduk penduduk miskin seperti Ong Chew Tee tak akan melupakan bantuan YB kepada mereka dan akan menjadi penyokong tegar YB kelak. Yang penting disini adalah YB mesti menunaikan tanggungjawab dan amanah kesekelian para pengundi YB hari ini. Beralih pula kepada keputusan Yang Amat Berkhidmat Dato Seri Mohd Najib Tun Abdul Razak yang telah membuat pemilihan jitu terhadap diri YB dari Timbalan Presiden MIC sendiri, ianya kini terbukti tepat walaupun terpaksa melawan kehendak sebahagian besar ahli ahli UMNO itu sendiri supaya calon berbangsa Melayu pula diberi peluang bertanding menentang Dato Zaid Ibrahim dari PKR. Jadi YB Kamalanathan, tugas yang amat mencabar sedang menanti saudara. Buktikan kepada pucuk pimpinan BN bahawa mereka telah membuat pilihan yang tepat dan kembalikanlah kepercayaan masyarakat Hulu Selangor kepada parti saudara secara khusus dan BN secara amnya. 1Malaysia mungkin ditohmah sebahagian besar para pengkritik dan pencari kesalahan didalam negara tetapi saudara kini berpeluang membuktikan bahawa kempen ini tidak merupakan hanya sebuah slogan atau retorik seperti yang dikatakan mereka! Salam tahniah sekali lagi dan Selamat Berkhidmat! Saya ingin mengajak saudara saudari warga Malaysia membaca apa yang telah ditulis atau diterbitkan oleh seorang tokoh akademik negara kita tentang polemik yang ditimbulkan oleh bantahan Mursyidul Am Parti Islam seMalaysia, Tuan Guru Dato Nik Abdul Aziz bin Nik Mat bila dilarang oleh Jabatan Agama Islam Selangor Darul Ehsan untuk menggunakan mana mana premis masjid dan surau didalam negeri Selangor untuk berkempen politik untuk Pilihanraya Kecil Parlimen P94 Hulu Selangor samada melalui majlis ceramah atau syarahan umum. Umat Islam, terutamanya para ulamak, apabila bercakap tentang politik dan Islam, hendaklah tahu membezakan apakah artinya politik dan agama menurut perspektif ajaran Islam yang sebenarnya tentang takrif Islam dan takrif politik itu? Rasulullah SAW adalah sorang ahli politik, kerana baginda telah mengetuai umat Islam dalam semua urusan pemerintahan, terutamanya setelah membentuk kerajaan Islam di Madinah dalam tahun 622 M. Baginda mengetuai urusan pentadbiran, ekonomi, pertahanan, dan baginda juga sebagai panglima angkatan tentera, serta urusan lain. Urusan dan tindakan baginda itu adalah tindakan mengenai pentadbiran dan politik pemerintahan negara. Baginda juga memerintah dengan penuh beradab dan sentiasa berpandukan ilmu dan hikmah, sebab itulah baginda tidak melakukan apa yang dilakukan oleh ahli politik hari ini, ketika "berpolitik" artinya taksub kepada politik partisan, taksub dan fanatik kepada puak dan parti sendiri sahaja, boleh mengutuk dan menjatuhkan hukuman kepada parti lawan dan ahlinya sebagai "sekular" dan sebagainya tanpa memahami pun apakah sebenarnya konsep sekularisme itu. Sebab itulah juga baginda Rasulullah SAW berucap, berkhutbah dan sebagainya dengan menyentuh isu-isu pemerintahan negara dan urusan rakyat, tetapi baginda tidak pernah berkasar kepada para pengikutnya, baginda sentiasa berlembut dan beramanah dengan ilmu dan hikmah tanpa mengatakan orang lain munafik, jahat, boleh mendoakan untuk kebinasaan parti lawan, dan sebagainya. Kalau berpolitik seperti baginda, maka memang tidak ada larangan untuk digunakan masjid dan sebagainya untuk memandu dan menasihati orang awam tanpa sebarang perbezaan. Tetapi kalau berpolitik untuk mengata nista, mengutuk dan mencerca, maka jauhilah dari masjid yang menjadi kepunyaan semua orang Islam tanpa mengira parti politik, politik tidak mempunyai tempat untuk orang yang berfahaman politik partisan melulu, politik sempit yang tidak sejajar dengan ajaran Islam yang sebenarnya. Politik kepartian pada hari ini sebenarnya merupakan politik yang sering disalah gunakan, termasuk oleh para ulamak sendiri, iaitu apabila ianya dijadikan pentas dan platform untuk memusuhi lawan politik, memaki hamun dan melontarkan kata nesta kepada orang lain, iaitu satu tindakan yang tidak pernah dilakukan oleh baginda Rasulullah SAW. Oleh itu tak usahlah para ulamak politik, atau sesiapa sahaja orang politik boleh mendakwa bahawa politik pada hari ini sama sahaja dengan politik pada zaman Rasulullah SAW, oleh itu ia juga sama dengan Rasulullah untuk bertindak dalam "kempen" politik, menggunakan masjid dan sebagainya untuk "berpolitik" sedangkan "politik" yang dibawanya adalah "politik kotor" penuh emosi, taksub dan fanatik melulu, terkeluar dari ajaran Islam seperti yang diajarkan oleh baginda Rasulullah SAW. Orang ramai tidaklah seharusnya keliru dengan berbagai-bagai fatwa dan ajaran ahli politik taksub kepartian ini, kerana niatnya hanyalah untuk mendapat sokongan untuk politik nya dan partinya, sedangkan orang Islam seluruhnya haruslah juga mengetahui bahawa parti politik itu bukanlah agama yang diturunkan oleh Allah SWT kepada manusia melalui Rasulullah SAW yang tidak boleh diingkari, dan ahli politik itu juga bukanlah "Pesuruh Allah" yang tidak boleh di-ingkari juga segala kata-katanya. Parti politik adalah parti politik buatan manusia yang ada salah dan silapnya, ahli politik kepartian itu juga adalah manusia biasa yang tidak maksum, dan suci, malah mungkin lebeh kotor dari orang lain yang tidak taksub kepartian. Ingatlah parti politik bukannya agama, dan ahli politik itu bukanlah Nabi atau Rasul. Berhati-hatilah dengan hakikat ini supaya hidup kita juga tidak menjadi sesat dan berdosa. Demikianlah cara orang yang bijaksana berfikir. Tidak taat membuta tuli atau taksub tanpa usul periksa akan agenda seseorang ahli politik itu. Agama tidak menghalalkan memaki hamun dan memfitnah mana mana saingan politik. Diwaktu yang sama, adab bersiyasah tidak memberi ruang kepada mana mana penggiat politik untuk melakukan sesuatu yang bersalahan kepada hukum hakam Ad Deenul Islam mahupun melanggar tatacara dan adat resam turun temurun peradaban Melayu didalam berpolitik secara kasar dan penuh tipu daya dan muslihat semata mata mahu mengejar kuasa secara mutlak tanpa mengambil kira akan natijahnya terhadap anak bangsa dan negara. Saya menyeru kepada saudara dan saudari para pembaca supaya menghayati isi kandungan artikel Prof Dato Dr Ismail Ibrahim ini dengan lebih mendalam lagi serta sebarkan kepada rangkaian kenalan anda. Perayu perayu undi PKR Parlimen Gopeng sedang bertugas bergerak dari rumah ke rumah di Kg Gurney, Ulu Yam Baru, Hulu Selangor. Saya terus menghampiri mereka dan merakam gambar gambar ini untuk tatapan semua disini. Sebagai seorang blogger Muslim, saya tak ada masaalah bergaul atau menyapa bersuaikenal dengan sesiapa sahaja. Malah, semasa saya sedang mengarang artikel ini, saya baru saja bertukar lambaian dengan YB Khalid Samad, Ahli Parlimen Shah Alam yang berlalu depan saya di Food Garden, KLIA dengan tiada prasangka terhadap satu sama lain. Insya Allah jika ada kesempatan, mahu juga saya bertemu ramah dengan YB Khalid. Begitulah rakaman gambarfoto perayu undi dari Pakatan Rakyat terutamanya petugas dari PKR Parlimen Gopeng semasa mereka bergerak dari rumah ke rumah di Kg Gurney, Ulu Yam Baru, Daerah Batang Kali, Hulu Selangor baru baru ini. Insya Allah, akan saya siarkan gambar gambar yang saya sempat ambil di Kuala Kubu Baru pulak selepas ini. P94-Pilihanraya Kecil Parlimen Hulu Selangor ~ Gambar2 suasana disana. Terasa kemeriahan suasana pilihanraya bila melihat bendera bendera parti politik yang bertanding ini. Mungkin ramai yang merungut kerana terpaksa berhenti disekatan sekatan jalanraya oleh pihak Polis Di Raja Malaysia tetapi mereka tidak tahu akan bahaya membiarkan sahaja mana mana anasir penjenayah terlepas lalu masuk mengganggu gugat kerja kerja kempen pilihanraya di kawasan parlimen berkenaan? Boleh menjadi huru hara sekiranya terjadi sebarang provokasi dan pencetusan pergaduhan diantara penyokong kerajaan persekutuan BN dan kerajaan negeri PR sekiranya pihak keselematan dalam negara seperti PDRM tidak memantau dan menjaga kesejahteraan penduduk sepanjang masa kempen pilihanraya ini. Berapa kerat diantara kita yang pernah memikirkan kesengsaraan berjemur ditengah panas oleh anggota anggota polis berkenaan seperti konstabel konstabel Yusof dan Zulfakar ini? Bagi kita yang mungkin selesa sedap ditiup angin sejuk pendingin hawa kereta tak terlihat peluh memercik keluar dari wajah wajah mereka, menggadai nyawa demi memastikan keselesaan massa pergi berkempen memenangkan calon pilihan masing masing? Saya cuma mampu menasihati mereka meminum air dan bawa berteduh jika tiada kenderaan yang tiba dari terus terdedah berjemur dibawah panas terik mentari. Kita harus bersyukur kepada Allahu Ta'ala dan berterimakasih kepada anggota anggota polis seperti konstabel Yusof dan Zulfakar dan beratus ribu lagi anggota keselamatan negara kita yang lain kerana tabah menabur bakti saban hari. Semoga Allah Rabbul Alamin merahmati kesekelian mereka. P94 Parlimen Hulu Selangor ~ Syarat Ong Chew Tee! "Tolong ganti bumbung bocor jika mahu undi saya!" Permintaan tak berselindung ini datang dari seorang warga miskin Kg.Gurney, Ulu Yam Baru, Mukim Batang Kali, P94 Parlimen Hulu Selangor. Ikuti kandungan video di atas dahulu. Akan saya sambung berita selepas kembali nanti. SOPO Blogger's Credibility~Gone with the wind? In the heat of the online and offline political campaigning that is currently being unleashed unto the nation and constituents of the P94 Hulu Selangor By Election, the trend to character assassinate the PKR candidate has taken a turn for the worse. I do not know Dato Zaid Ibrahim in person. All I know about him is what I have come to learn from the press and usually the kind of news they publish relating to Zaid Ibrahim is often quite unsavory. I first read about Zaid Ibrahim when his recommendations to run special lotteries to bear the costs of holding sports activities in this country were published in the newspapers. Organise special lotteries to raise funds for sports. This was the suggestion Datuk Zaid Ibrahim (BN – Kota Baru) gave to overcome the problem of finances. He said many gaming companies did not contribute to sports adequately. Sports in England, he said, were fully funded by profits from gaming. Zaid: 'What is more important is what we use the money for' Asked whether the proceeds would be halal, he asked: "What is more important is what we use the money for. Why are we afraid of doing it? Is it because of PAS? "They only have six seats in Parliament. What are we afraid of?" He made the comments when debating Budget 2006 for the Youth and Sports Ministry at committee stage. During the debate, several MPs questioned the role of the Sports Commissioner. They said the post should be abolished because it had not helped the development of sports. Loh Seng Kok (BN – Kelana Jaya) said many countries which did not have such a position still managed to excel in sports. "One has to look at the state of sports before and after the position was created," he said, adding that the post was created to solve problems, not otherwise. This led Datuk Ghazali Ibrahim (BN – Padang Serai) to suggest that the post be abolished as it had not benefited sports in Malaysia. Raja Ahmad Zainuddin Raja Omar (BN – Larut) asked why the commissioner had been given the right to meddle in a particular sports organisation. "This is akin to interfering in family matters," he said. deregistration of the Malaysian Taekwondo Association (MTA). Lim Kit Siang (DAP – Ipoh Timur) asked why the parties involved couldn't come together to resolve the problem. "If this drags on, I'm afraid our performance in the sport may be adversely affected," he said. Deputy Youth and Sports Minister Datuk Ong Tee Keat, winding-up for his ministry, said the problem arose when MTA failed to appeal to the ministry against the commissioner's decision to suspend the association. "Furthermore, MTA took the issue to court and this added tension to the whole matter," he said. Now, for Zaid Ibrahim to have proposed such a preposterous idea is one thing if one is to judge his proposals according to the Islamic point of view. It is not only haram but also at the same occasion destroys any credibility on his part as a learned Malay Muslim lawyer. Yes, we know he isn't known for his Islamic efforts as one of this nation's prominent lawyer and maybe just deals more with the civil laws etcetera but it also speaks volumes about his reputation as a Malay politician with 'liberal values' and at times for his 'Malay bashing' point of views as well. IF he is just an ordinary citizen, maybe the public wouldn't be bothered that much for such a chosen vocation is up to the individual and the authorities if they were to take action against him for breaching the Syariah laws pertaining to gambling which is haram in Islam but as we all know, historically even the first Prime Minister of this country was known to be doing the same thing as Zaid Ibrahim does (or did)? This is clearly a very low blow. Smacks of indiscriminate blogging, throwing out all aspects of integrity on the part of the said bloggers and destroys any remaining credibility on their part as a person and as one who is involved in the 'new media'. Tian Chua's credibility has suffered ever since even though he says he meant it as a joke but the joke backfired with him losing the respect Malaysians had of him as a political activist and social fighter. Now, sadly those Malaysian SOPO Bloggers who published Zaid's Jack Daniels Whisky bottle hugging photo stand to suffer the same. Their credibility as reliable sources of new media information might just as well go with the wind. One does not joke with the truth. It will come home to roost just like the proverbial chickens. For bloggers to be respected as purveyors of the truth and be free from the encumbrances of political treachery and devious practices, we have no choice but to stay clear of lies and deceitful blogging. Once we slip up and commit such a heinous crime of slander and malicious blogging, our reputation goes and we will never ever again get to be back as to what we were before? Surely our self dignity and honor is much too precious to be sacrificed for the temporal measly gains of the material world here in this short life on Earth? How will we be able to face Allah Azza Wa Jalla in the Yaum al Mahsyar if we resort to such crimes against our fellow beings in the name of blogging for the so called truth when in actuality it has been proven to be nothing but fitnah? As far as the P94 Hulu Selangor Parliamentary by election goes, let's allow the people there to make their choice free from such malicious campaigning. I am sure that this time around, they will know better as to how to cast their votes? It's not like this by election will topple the PR Selangor State government, will it if the voters were to choose the BN's Kamalanathan? All we want is to see them benefit from a new MP who gets the job done as he should. Not ending up just like most of the other MP's who put up a shameful show of Malaysian Political Circus at its worst there in our Parliament! 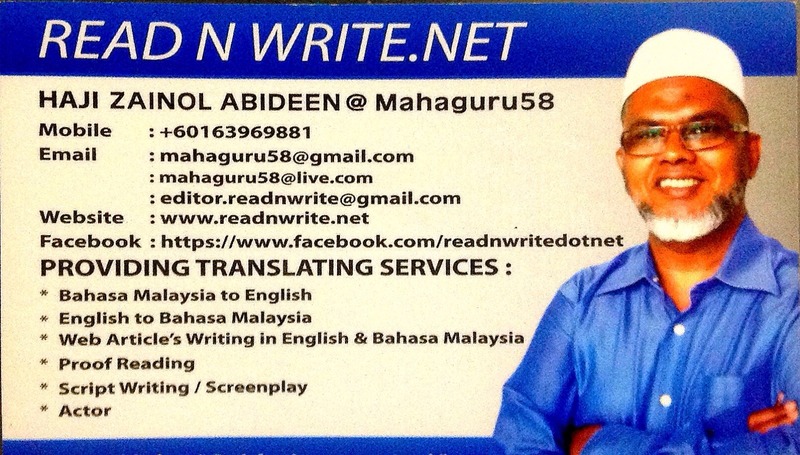 "Blog with care! Your reputation rests with it!" I am not endorsing Zaid Ibrahim here with this article but just wanting to remind my fellow bloggers in the Malaysian network to be just and truthful in their efforts online. May Allah bless us with wisdom and truthfulness in our blogging activities for the betterment of the nation and the ummah in general. The dangers of those associating and engrossing themselves with the various tariqah's out there without a firm base of belief in the true teachings of Al Islam will result in their falling prey to their nafs whilst beguiling themselves that all that they do in the name of Sufism is correct and not sinful! Rasul Sallalahu Alaihi Wassallam forewarned us about these dangers in his numerous hadiths yet not that many amongst his ummah have taken heed of his warnings and have become amongst those who actively involve themselves in acts that can only be termed as Bida'ah al Lawwamah @ the Accursed Innovations. Now, it is important that those of us who are Muslims know the difference between what is allowable in our quest to purify our selfs by engaging in the worship and glorifying of Allah Subhanahu Wa Ta'ala and in respecting our beloved Prophet Muhammad, Rasulullah Sallalahu Alaihi Wassallam that we do not go overboard in such ibadah by staying within what Allah Subhanahu Wa Ta'ala and His Messenger have revealed for us in Al Islam. I myself ventured into the Tariqah Naqsyabandiah when I was back in Penang and learned about the spiritual realm from the Sufi masters. I gained a lot of info about the spiritual aspects of our faith yet at the same time became aware of the excesses that some of the sufi mureeds brought upon themselves by over adulation and glorification of the masters. That made me slowly but surely keep myself from falling into the same levels as those whose actions could only be classified as bida'ah al lawwamah. The Prophet Sallalahu Alaihi Wassallam forbade us from going overboard in our ibadah and also in over glorification of himself. Thus, it is enjoined upon us to not do what the Blessed Messenger refrained from especially in the matter of worship? Be moderate in all that we do in the name of Allah. The videos above are but an example of such deviations from the Sunnah of Muhammad Sallalahu Alaihi Wassallam. Always check and recheck as to the legitimacy of whatever acts of worship that we want to do? Make sure that it is permissible in Al Islam. The Idiosyncrasies of Malaysian Bloggers. Not a day goes by without bloggers in Malaysia writing and commenting about the way, political theatrics and tantrums are being played out by those with vested agendas in Malaysia's political circus. There are many bloggers out there today whose only function seems to be nothing but dwell on the political shenanigans of politicians and social activists out to grab a major piece of the political power pie of the country by engaging in all kinds of theatrics and attention grabbing stunts meant to draw public attention towards them by all means possible! There are actually many kinds of bloggers out there today. Some are totally dedicated to blogging about politics and are either pro the opposition or supportive of the establishment. Today we have the Bloggers Pembela Negara who support the ruling government or those who group themselves as Bloggers Rakyat @ Citizen Bloggers. Most of the groupings are usually self appointed ones and the government or the opposition parties concerned would not formally recognize them or associate themselves with such online groupings for obvious reasons that most bloggers who are either pro or anti these establishments operate independently, free from any political restrictions or rulings. One can safely say that they are loose cannons free to either boost or toast either party as the bloggers wish? Bloggers are just like the proverbial marauding gunslingers of the internet wild,wild, west and they usually do blog as they please and can even turn upon the very ones whom they have been supporting all these while at the flick of a second. In a way, the advent of blogging opened up the mass communication channels to those members of the public who had access to the internet via ownership of personal computers and a live connection to one of the best thing to have ever happened to the global world of mankind. Only thing that I regret is the way quite a large number of bloggers have in a way abused this new found platform of communicating their thoughts, views or agendas to the masses using unsavory language especially when blogging about social-political-religious issues. I am all for the exchanges of personal opinions or viewpoint even if it differs from my values or principles but I long for decent exchanges between the blogging public as what is to be expected from those who consider themselves to be learned or cultured? Just as we shuddered away from having to deal with uncouth people whom we sometimes are ill fated to meet and experience such an unfortunate episode face to face, I am sure that we will shy away from sites that contain more foulmouthed insults and toxic contents or comments that border on the depraved and ridiculous if not stark raving madness from a convoluted mind? Having loyalties to any particular political party or coalition is part and parcel of every human's personal freedom of association and rights but that should not mean that one goes ballistic against anyone who doesn't subscribe to one's political preferences. To do so will only cause the reading public not to bother reading whatever daily swivel one's polluted mind coughs up on to the internet? I don't need to expose to you who these ghastly, foulmouthed bloggers are? You can easily spot them by the very drivel and venom they publish daily without bothering to consider that every word, every fitnah, every smear that they dish out without fail against all those they have a vendetta against either personally or politically? Sometimes, these faultfinders don't even know those that they tarnish in person but blog against them as if their targets are their sworn enemies? If only the type of bloggers I am referring to will contemplate and consider as to the implications and outcome of their cyber assassinations they carry out either on someone's orders or just as part of their own misguided beliefs or so called principles? I yearn to see the day when Malaysian bloggers come to be on par with the mainstream media and each contribute his or her share in building a better nation by engaging in useful and productive interactions between one another even when belonging to differing political parties or associations. Jumaat, 1 Jamadil Awwal, 1431 Hijrah / 16hb April, 2010. Saya berasa amat sedih bercampur geram mendengar berita dari Imam Masjid Al Najihin bahawa dua tabung derma masjid berkenaan telah dipecah dan wang derma dirompak oleh para pencuri yang sudah begitu kurang ajar dan berani memecah tabung masjid Allah sendiri! Inilah dia salah satu tanda kerosakan moral segelintir dari manusia manusia akhirul zaman sehingga masjid pun sudah tidak selamat dari kerakusan hawa nafsu mereka! Orang orang kaffir sudah tentu tidak kan masuk ke pekarangan masjid! Sudah lumrah sekarang bahawa kerja kotor ini adalah angkara mereka yang mengaku Muslim tetapi berperangai syaitan! Oops! Minta maaf. Syaitan tak ada kena mengena dengan kes ini. Syaitan tak perlu wang ringgit. Ini kerja penjenayah bertopengkan identiti Muslim! Semoga pencuri pencuri ini akan dibalas setimpal dengan kerja jenayah mereka oleh Allah Azza Wa Jalla secara tunai! Baby Magnet ~ Mahaguru58 is one! I went to the Sunway Pyramid Convention Centre on Monday, the 12th of April to send my missus to the Microsoft Visual Studio 2010 launch and inadvertently ended up being an attendee myself. It was an exciting event and I learned new things about the world of website development and the latest technological advancements that Microsoft Visual Studio 2010 offered. Kuala Lumpur was one of 4 selected cities worldwide to launch the software. After the event, I took my wife to lunch at the Sunway Shopping Mall and then went shopping at one of the computer shops there. While we were shopping there, came a family of four. Saudara saudari sidang pembaca sekelian. Samada sedar atau tidak, perancangan halus membawa cadangan penubuhan IFC kini sudah bertunas secara nyata dengan pengisytiharan kerajaan menubuhkan satu majlis perundingan antara agama disini. Namun apabila diterbitkan laporan akhbar dan media perdana akan bantahan NGO seperti PERKASA dan juga Jawatankuasa Fatwa Negeri Perak Darul Ridzuan akan cadangan tersebut, maka keluarlah kenyataan dari YAB Timbalan Perdana Menteri Tan Sri Hj Muhyiddin Hj Yassin bahawa majlis antara agama itu tidak lah mempunyai kuasa menentukan itu ini melibatkan kedudukan Agama Islam didalam negara ini. 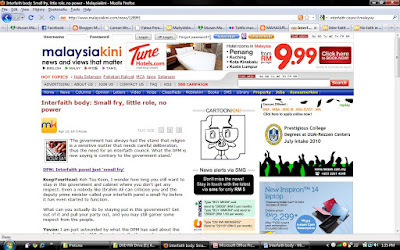 Namun seperti dijangka, maka portal media alternatif seperti Malaysiakini dan Malaysian Insider tidak membuang masa memainkan isu sensitif ini dengan mengadu domba masyarakat negara ini terus mempertikaikan kenyataan TPM dengan membenarkan penerbitan 'dailog' diantara 'para pembaca' mereka dengan meluahkan kata kata penghinaan terhadap Tan Sri Muhyiddin disini. KeepYourHead: Koh Tsu Koon, I wonder how long you still want to stay in this government and cabinet where you don't get any respect. Even a nobody like Ibrahim Ali can criticise you and the deputy prime minister called your interfaith panel a small-fry before it has even started to function. What can you actually do by staying put in this government? Get out of it and pull your party out, and you may still garner some respect from the people. Yuvan: I am just astounded by what the DPM has said about the interfaith panel in the PM's Department. So the panel was set up to be just a "small fry" with no sincerity at all to improve understanding and tolerance among people of different religions. And to rub salt into the wound, the government admits that it knew very well that the panel will not serve any purpose and is absolutely useless. Time and again, the BN government's '1Malaysia' propaganda seems nothing but a joke. With such insincerity and gimmicks, I do not think that it will ever be able to fully regain the trust and respect of the Chinese and Indians. I am now convinced that the National Unity and Integration Department itself overseeing the committee is a complete farce and was also set up to be just another 'small fry'. If Koh Tsu Koon has any dignity at all, he should throw away his ministership in the PM's Department without second thought and 'save' his face. Argonist: So Minister Koh, where do you hide your 'water-face' now for parading your great idea of harmony and peace in Malaysia via discussions and negotiations? I guess you are going to have to change your expectation of the committees's role? Govindasamy: Small fry, small role and no power. Then why set it up in the first place and have it headed by a senior politician? DPM Muhiyddin, who are you trying to please? Perkasa? 1Malaysia is an eye-wash. The government has always had the stand that religion is a serious and sensitive matter that needs careful deliberation, thus the need for an interfaith council. What you (Muhyiddin) are now saying is contrary to your own government's stand. MY2Centsworth: There you go, right from the horse's mouth: the panel is nothing but small fry (translated: insignificant, rubber stamp, toothless, mouse, etc) and headed by another insignificant minister. What a load of hogwash. Ibrahim Ali and Perkasa must be rubbing their hands in glee. Rayfire: DPM, if the committee is meant to be small fry, please refrain from forming it in the first place. This goes to show how much understanding and respect they have towards other religious leaders in this country. The katak says only his religion is God-sent - that itself shows his ignorance, and now the DPM seems to endorse his views by calling it a small fry committee with no powers. Koh Tsu Koon, I presume that includes you as well. We are going towards a dangerous trend here in favour of Perkasa's short-sighted ideas and views. Just check their website - there is one special column to monitor Chinese newspapers as well. These people have tendency to cause havoc and Umno is just downplaying the threat due to endorsement by Dr Mahathir Mohamad. Damn these racial and religious bigots! GK: Small fry or big fry, so long as it can promote better understanding among various religions, it is justified for its purpose and existence. But, I doubt it can function well with such extreme Muslims like Perkasa around. Even before it gets started, Ibrahim Ali already made so much noise as to who should head the panel. What if a Christian heads the panel? Right-thinking Malaysian will not question that, but Perkasa will. They'll go on street demonstrations shouting offensive words, burning effigies, threatening to kill and destroy property. Daniel Tan: Why then, may I ask, is the interfaith committee being set up if it's going to be a toothless committee? Just to gain votes from the non-Muslims? That's why we don't trust the idiots in Umno-led BN, and this include this 'I'm Malay first' minister. I think the Hulu Selangor voters must take note of this and return Pakatan Rakyat with a greater majority. Makcik Har: Perak mufti Harussani Zakaria? Wasn't he the one who got a church surrounded by thugs with a hundred-or-so little girls about to take the holy communion quivering in fear inside? In the name of the future of this country and of national unity, get this man as far away from any public office as possible. An interesting point to note is that the state ruler never reprimanded him. Ruler or mufti, in the afterlife, we are all equals. God is watching. Lucia: Good Lord, he suggested Harussani? Heaven help us if that man heads the committee. He is as bad as Ibrahim Ali. He was the one responsible for nearly causing a riot at an Ipoh Church, saying the church was converting Muslims when it was young innocent Catholic girls being confirmed. And yet he blamed it on some poor woman who spread the SMS. He was not charged or reprimanded. For the rakyat's sake, I hope to God the mufti of Perak will not be appointed to head the committee. If he is, they might as well not start the committee at all. Hamisu: Fear, simply put, is an irrational feeling of something you do not understand. Without discussions, there will never be understanding, thereby deepening an already fearful psyche. One of the best way is to bare all that we may have misunderstood throughout our lifetime and then have a constructive discussion to remove doubts and most importantly, fear. The above is a selection of comments posted by Malaysiakini subscribers. Only Malaysiakini subscribers can post comments. Over the past six months, Malaysiakinians have posted 50,000 comments. Be part of the Malaysiakini community and help set the news agenda. Walaupun digunakan nama nama samaran didalam artikel diatas, tetapi sebagai seorang pemantau sosial dan agenda musuh musuh Islam didalam dan luar negara, blogger Muslim seperti saya sedar bahawa luahan ini adalah nawaitu sebenar pihak portal diatas ini memerangi kedudukan Ad Deenul islam dengan mempelopori agenda menyamatarafkan Ad Deenullah dengan apa sahaja fahaman Kuffar disini. Yang nyata adalah bahawa terdapat para pemuka bertopengkan identiti Islam turut bersekongkol dengan agenda mereka ini dengan memperlekehkan TPM diatas kenyataannya itu. Umat Islam Malaysia harus sedar akan permainan dan percaturan pihak pihak ini didalam merungkai kedudukan Agama Islam sebagai Agama Rasmi Persekutuan negara ini. Kepada Tan Sri Muhyiddin Haji Yassin, ketahuilah bahawa kami senantiasa memantau dan memerhatikan apa yang sedang berlaku dan kami akan berdiri dibelakang Ulul Amri yang benar benar ikhlas terhadap mempertahankan Kesyumulan Al Islam. Jangankan kerna mengharapkan sokongan politik manusia, ada diantara Ulul Amri Malaysia sanggup dan berani menderhaka terhadap Rabbul Alamin! Allah itu Maha Suci dan Maha Tinggi kedudukanNya dari segala yang lain termasuk sembahan manusia yang kufur terhadap KeEsaanNya! Islam itu tidak boleh disamakan dengan apa apa kefahaman ciptaan manusia. Ad Deenullah itu maha suci dan seharusnya tidak boleh disamatarafkan dengan ajaran keagamaan lain. 1. Say: O ye that reject Faith! Dan kamu tidak mahu menyembah (Allah) yang aku sembah. Dan aku tidak akan beribadat secara kamu beribadat. Dan kamu pula tidak mahu beribadat secara aku beribadat. Bagi kamu ugama kamu, dan bagiku ugamaku. Sekian lama ini, kita hidup, aman damai, menjaga hal ehwal masing masing tanpa banyak masaalah. Masaalahnya bermula bila ada jendalu yang demi ingin meraih sokongan kuffar, rajin benar hendak menjadi gunting didalam lipatan dan menyamatarafkan Ad Deenul Ilahi dengan ciptaan manusia. Harap harap agar pihak berkuasa dapat menangani masaalah ini sebelum ianya menular menjadi bagaikan cacing kerawit bertukar menjadi naga! Tiada kuasa selain Allahu Ta'ala! Attaining peace of mind ~ is it a fallacy?